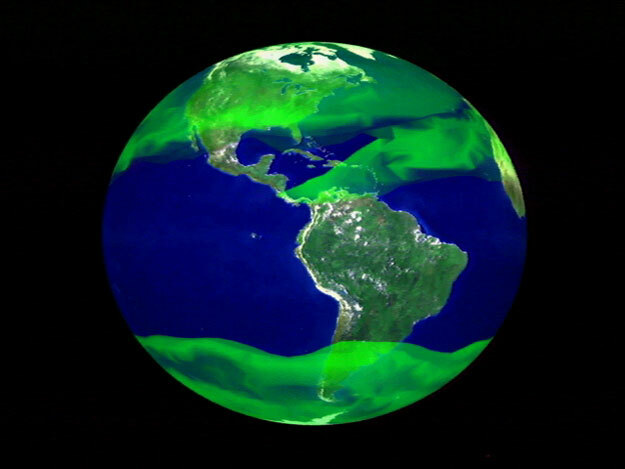 Explanation: Can you help in reducing this blanket of methane gas that is warming up our Earth? Recent evidence holds that methane (CH4) is second only to carbon dioxide (CO2) in creating a warming greenhouse effect but is easier to control. Atmospheric methane has doubled over the past 200 years, and its smothering potency is over 20 times that of CO2. Methane may even be responsible for a sudden warming of the Earth by seven degrees Celsius about 55 million years ago. As most methane is produced biologically, the gas is sometimes associated with bathroom humor. The largest abundance released by the US, however, is created when anaerobic bacteria break down carbon-based garbage in landfills. Therefore, a more effective way to help our planet than trying to restrict your own methane emissions would be to encourage efficient landfill gas management.